This weekend saw several riders represent UOBCC in the Bristol South Hill Climb, over in Burrington . The course was 3.2km (2 miles) into a vicious head wind, so not a day for records to be broken. Despite the wind, and a bizarre crash en-route that left Will Bourne, through no fault of his own, racing on a single speed, there were some solid performances all-round (full results here). To find out how to get involved in racing, check out our website. Any questions, contact Race Captain, Mat Mew. Monday evening saw UOBCC take over motion skatepark to try out bmx. Check out the photos on facebook, to see the roadies try to bunny hop, and Elky getting some serious air! Keep an eye out for announcements of the next bmx session soon. The first SCORE of the year is themed American movies, so we’re growing whiskers for the evening with The Lion King as the cycling club theme. We will meet at the waterhole (spoons on the triangle) at 8pm to lap up some cheap drinks before heading to Bunker to collect our VIP drinks. Everyone will then head in convoy to Motion from Bunker! We will take the train from Clifton Down, leaving Bunker at about 10.30pm. So fluff your manes and perfect your roar and join us for a wild night! Tickets for motion are now sold out, however if you want to join us for pre-drinks you're more than welcome! MTB night rides will start again on Friday 25th October (Time tbc, but likely to start around 6-7pm). Keep an eye on the facebook group for updates. To give yourself a chance of avoiding trees, we recommend you take some high powered lights. Members can borrow club lights for FREE. Simply fill out a kit request form on our website. The trip has been enlarged due to high demand. We can now offer another 8 places. Sign-up on the UBU Cycling Webpage. Drivers, please sign-up to the 'Drivers Only' option. If you have any problems or the trip is full again, contact Road Captain, Sam Game, to be put on the waiting list. Here's your chance to ride in the UK's first full scale mountain bike park in the heart of the South Wales valleys, built by riders for riders. Sign-up on the UBU webpage. Find out more about BikePark Wales on their website. 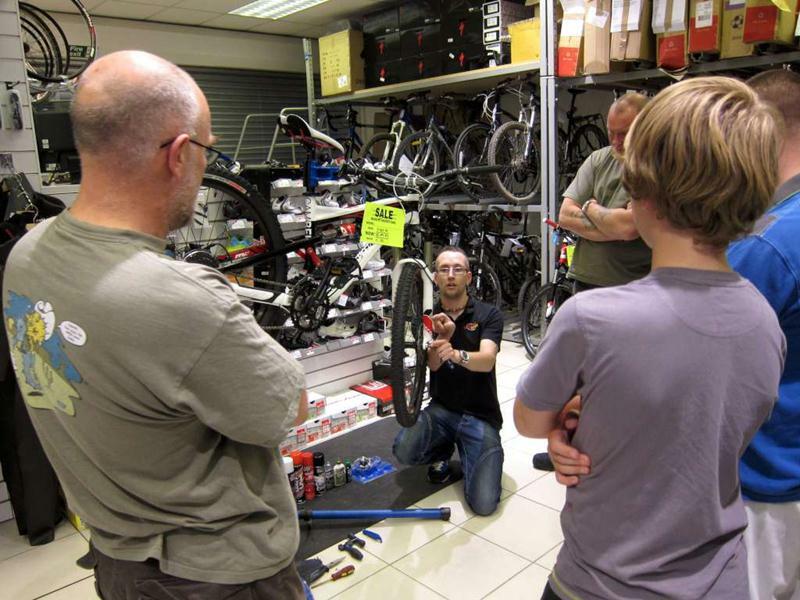 Run as part of Like Your Bike Week, this will cover basic bike maintenance such as repairing punctures and adjusting brakes. Sessions are free and open to all students. Pre-booking is essential. Check out Like Your Bike Week for more information and to book onto events. To keep up to date with all that is happening, Join Here. The time has come for you to get your hands on some brand spanking new club kit. You can place orders through the union webpage. This will be your only chance to order kit this year so make sure you get in now. Orders will close on Monday (28th October) so we can hopefully get the order in and delivered before Christmas. The kit design will be broadly the same as last year however sizing may be slightly different due to a change of supplier. You can try on some sample kit from 1-2pm on Friday 25th Oct (meet in the Queens Building foyer). To arrange an alternative time to try on kit, contact Michael. Our new kit supplier for 2013 is Bioracer. Check out their catalogue for an idea of what sort of kit will be available to purchase. Sunday Medium group ride - Powered by Bananas.